After our day at the Country 2 Country show on Sunday, Sarah and I took the river boat back to our hotel rather than travelling by tube. If you have never seen our capital from the vantagepoint of the Thames then I would urge you to do so. The view is simply fantastic, especially if seen on a clear, but chilly, night when the landmarks and buildings are illuminated magnificently against the blackness of the night sky in early March. I cannot adequately do justice to the beauty of the scene as many of London’s most prominent sights came into view as the Thames Clipper speeds across the river. It’s rather wonderful. Regrettably, both our iPhones and our little Olympus TG 2 camera had run out whilst we were snapping away at the concert. This was a major disappointment as our journey revealed its charming and relaxing delights as each new sight appeared. Especially when London Bridge, the Millenium Bridge and the inspiring and fabulous sight that is St. Paul’s takes your breath away. 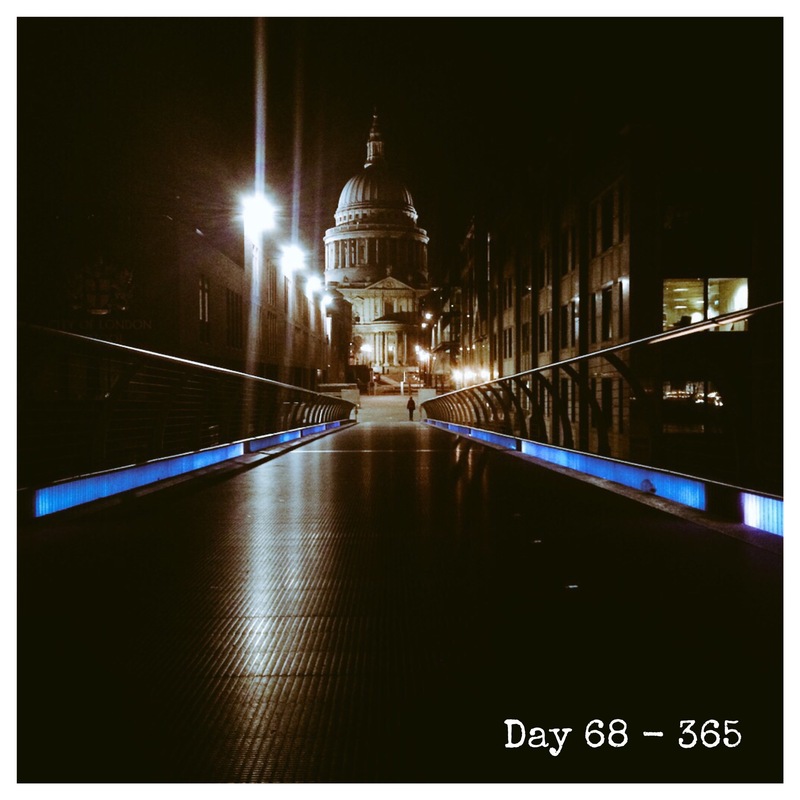 At that time of night the boat drops you at Bankside and the route to our hotel took us across the Millenium Bridge directly toward St. Paul’s. Both these are lit beautifully; the bridge has low level blue lighting that leads the eye to the brightness of St. Paul’s with its white facade. We told each other that we would have to take some pictures on our next visit. Despite the lateness, it was nearing midnight, and the increasingly chilly temperature and forgetting our tiredness from a full day of walking around our capital, we decided to go back to our room and have a quick coffee while we put some charge back into our gadgets. As a result, today’s image was taken at 0120.